Why Does Chemotherapy Often Have Side Effects? Chemotherapy is medicine used to treat cancer. 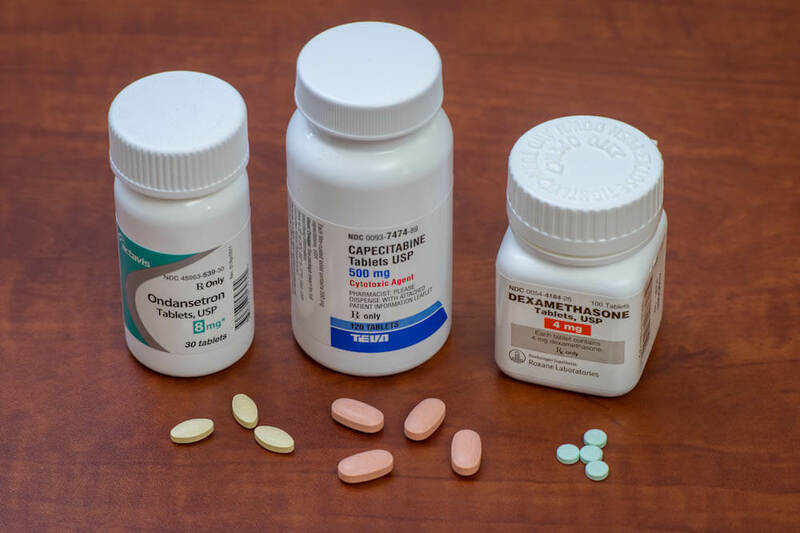 Chemotherapy drugs can be used alone or in combination with other drugs, surgery, or radiation. Chemotherapy can be used at different points during cancer treatment. Some patients are solely treated with chemotherapy, while others may receive chemotherapy before and/or after surgery to remove a cancerous tumor, or as an adjuvant treatment to another therapy. Some cancers are treated with newer therapies, and do not involve chemotherapy at all. Why Does Chemotherapy Have Side Effects? People experience side effects with varying levels of severity during their chemotherapy treatment. Due to advancements in palliative care, most people are able to manage their side effects during chemotherapy very effectively. Dietary changes can help mitigate other digestive issues such as nausea and diarrhea. A nutritionist can be consulted to ensure patients maximize healthy calories and keep hydrated in light of a reduced appetite. Your care team can also recommend medications to alleviate nausea. Mouth and throat sores can be painful, but good oral health care – including brushing teeth before and after each meal – can help prevent worsening sores or infection. Your cancer care team may prescribe oral rinses, too. Ideally, you should also see a dentist before beginning a chemotherapy regimen so they can identify any conditions in the mouth that need to be taken care of before you begin treatment. Hair loss in one of the better-known side effects of chemotherapy, but for many people, the drug only causes hair thinning. A new and novel approach to preventing hair loss from some chemotherapy regimens is called scalp cooling, which involves the use of a cool, tight cap that is placed on the head and worn before, during, and after each chemotherapy session. Liquid coolant circulates through the cap, reducing blood flow to cells that produce hair, with the goal of protecting them from the chemotherapy. To combat fatigue, it is important to keep moving. Aerobic exercises such as walking, swimming, biking, or running, tend to be the most beneficial for cancer patients. Activities such as yoga and stretching, and even resistance training with weights, can be beneficial as well. Always check with your doctor before beginning any new exercise plans. Researchers are also developing new therapies to reduce the typical side effects of chemotherapy. Targeted therapies differ from standard chemotherapy because they involve drugs which are engineered to attack only cells with a certain molecular target caused by the cancer. Since these drugs can kill cells more specifically, fewer healthy cells die in the process, which can greatly reduce the side effects a patient will endure. Many clinical trials are underway to evaluate these new targeted therapies for the treatment of a number of cancer types. Learn about what to expect at a chemotherapy infusion appointment from Dana-Farber Cancer Institute.